Several 3 pound packages of farmers cheese, and only 4 Sierpc farmers cheese 1 pound packages left. Kielbasa Domowa in a 5 pound package and in 1 pound packages. Delicious. Customer Requests are welcome at any time! Please let Devon know of foods of interest and she will do her best to find them. Feel free to ask to see a product list, to see what is available. 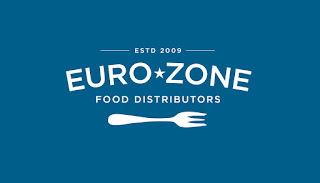 Bring a friend new to Eurozone Foods and receive $5 off your next purchase!